Heyy all! Well I promised I would do a review on this when I received it as a present for my Birthday in August once I'd given it a try! 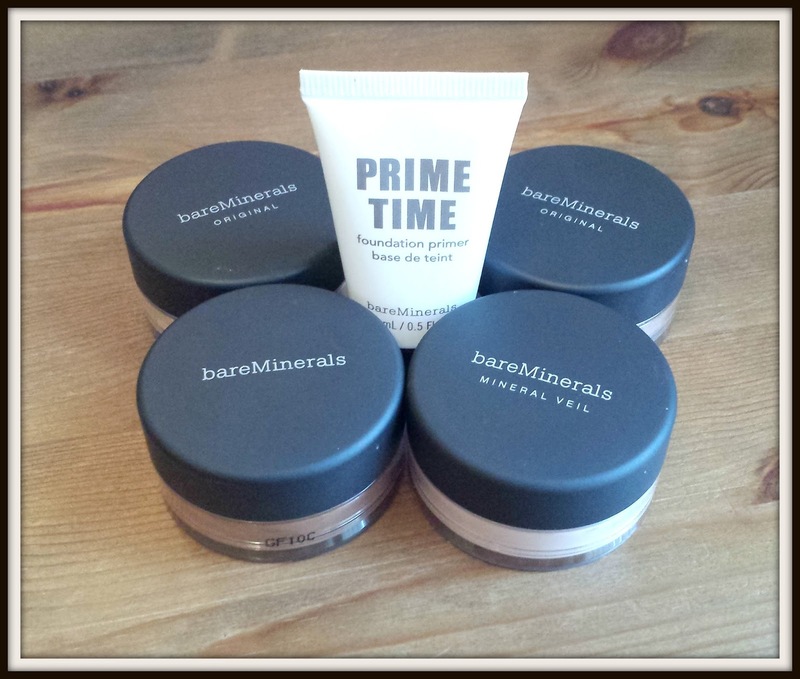 bareMinerals is a brand I had never tried, due to the fact that I always chose liquid foundation and had only ever tried one mineral foundation which I wasn't blown away by, as I found it pretty drying and cakey. (It turns out I was using the wrong brush and once I got the Real Techniques Powder Brush it was a total different story and I loved it). So once I had got the hang of mineral makeup, I then thought it was time to try bareMinerals and see what all the fuss was about! 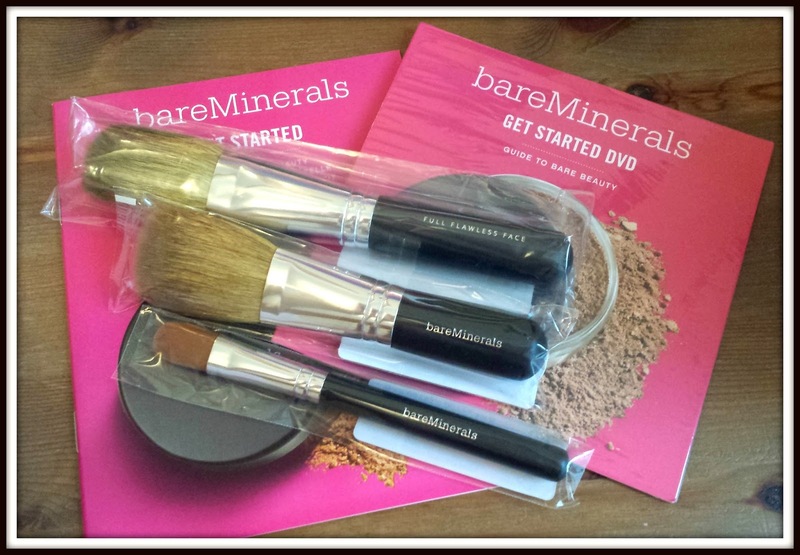 What better way to get started than to get the Get Started Kit? (especially as it only cost £49 and is worth a whopping £108) ha! So here we are! I'll show you everything I got in the box, and then explain how I got along with them as a whole! 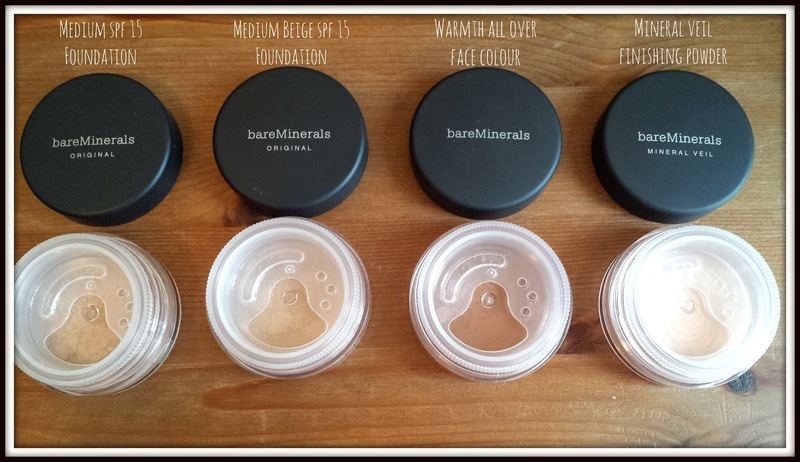 bareMinerals Original SPF15 Foundation in Medium 2g – A creamy, Pure Mineral loose foundation for a flawless, naturally beautiful complexion. 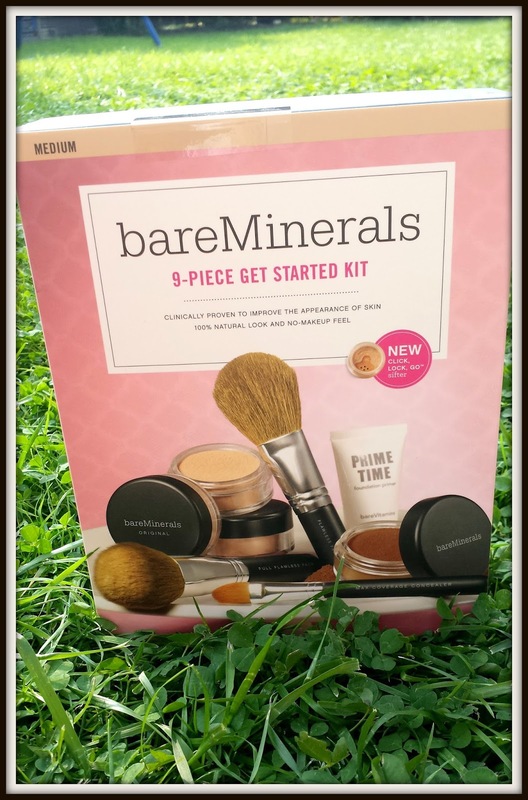 bareMinerals Original SPF15 Foundation in Medium Beige 2g - A creamy, Pure Mineral loose foundation for a flawless, naturally beautiful complexion. All Over Face Colour in Warmth 1.5g - A natural mineral complexion booster that infuses radiant light into your skin that looks as if it is coming from within. Mineral Veil 2g - A translucent finishing powder which perfects skin, infusing it with softness and light, giving the beautiful illusion you achieve with a soft-focus camera lens. This is your final step to achieving bare skin beauty. 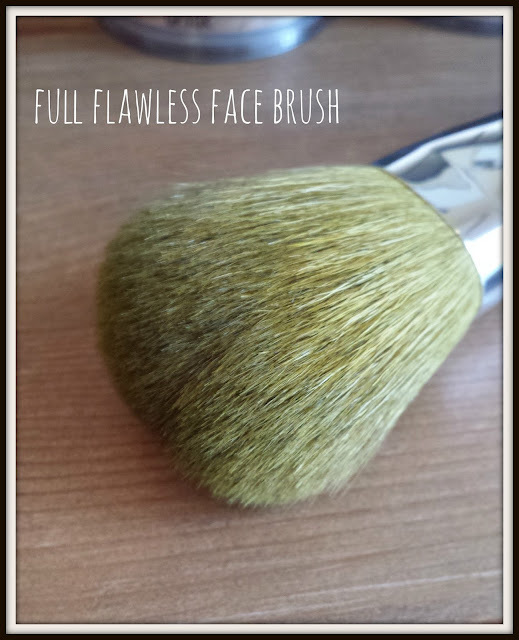 Full Flawless Face Brush - The soft, semi-round, medium brush head delivers medium-to-full coverage for all over the face when used with bareMinerals SPF15 Foundation, Mineral Veil, or bareMinerals All Over Face Colours. Flawless Application Face Brush - Perfectly suited to a broad range of easy applications with bareMinerals SPF15 Foundation, Mineral Veil and All Over Face Colour. 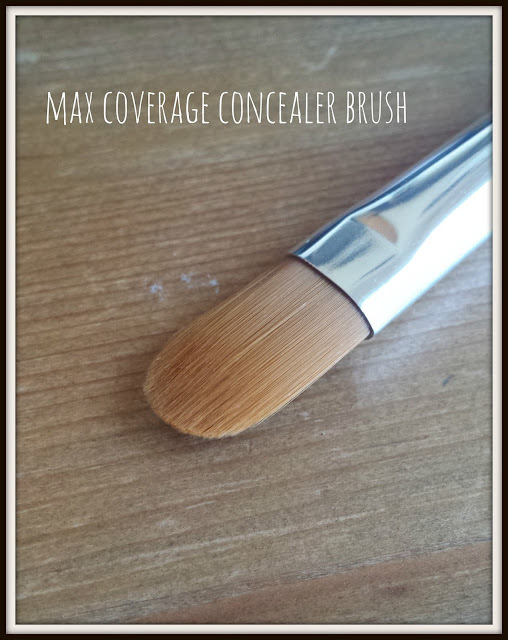 Maximum Coverage Concealer Brush - Provides full, concentrated coverage and holds more concealing bareMinerals for quick cover-ups. Prime Time Foundation Primer 15ml - A preservative-free foundation primer designed to combat flaky dryness, fine lines, excess oil, and enlarged pores. Get Started DVD - A step by step guide to achieving the ultimate in Bare Beauty. 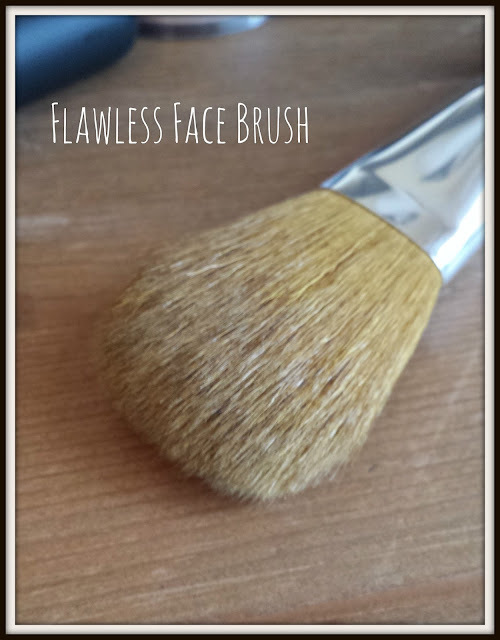 Took the Full Flawless Face Brush and swirled it all around the lid until all of the product was submerged into the bristles. Tapped off any excess and buffed it into my face. Took the Mineral Veil Finishing Powder and tapped a tiny bit into the lid. Took the Flawless Face Brush and swirled it as I did with the others. Added a light dusting over my face and then applied extra to any areas I wanted to highlight - Cheek Bones, Brow Bone, Nose. Not sure if thats how you're supposed to use it but it worked for me! I then added my own blusher just to the apple of my cheeks. 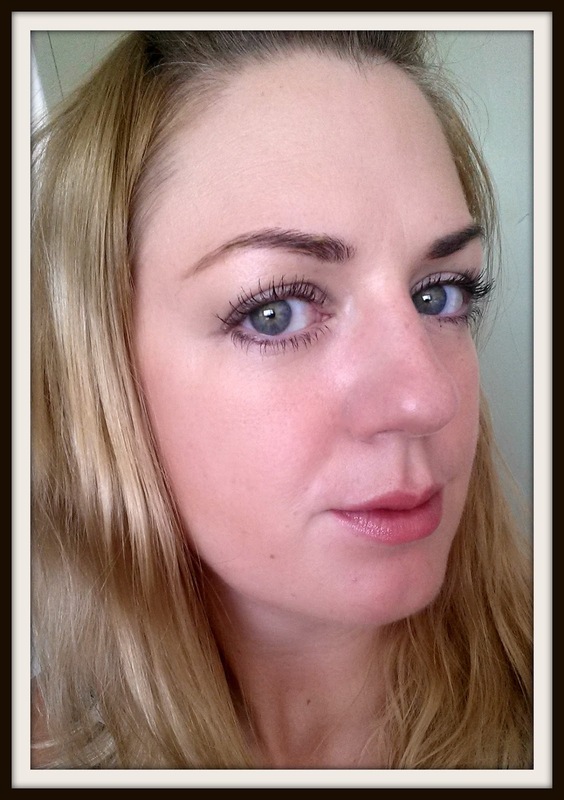 I chose Bourjois Cream Blush in 04 Sweet Cherry using my fingertips - my absolute FAVOURITE at the minute! Excuse my hair on the pics below, I was having a night of letting it dry on it's own last night as I wanna give it a rest from heat! 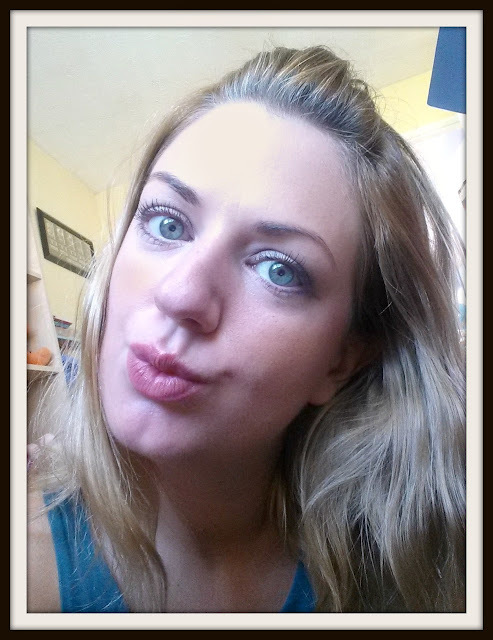 Sorry about the daft pouty face. Dunno how to pose, haha! Another dafty thrown in for good measure! I really need to learn to take proper pics of myself! 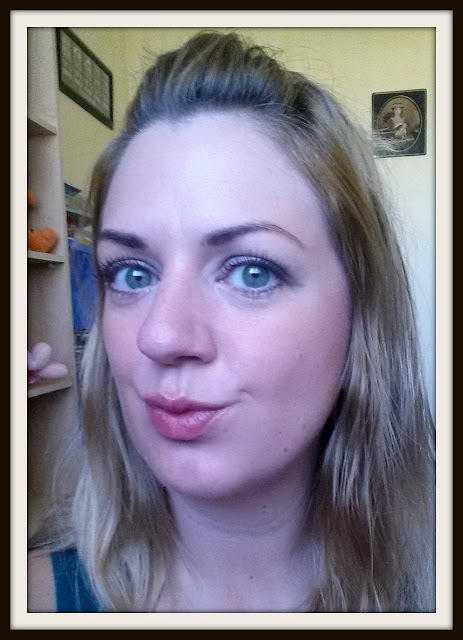 Ohhh I'm now a fully fledged mineral makeup convert! That's not to say that I'm never going to use my other foundations again because I AM (I love liquid foundation too much), but for days when I want something lighter or just a little bit of blemish control this is what I'll turn to - which is most days to be honest lol. I'm all about the natural "no makeup makeup" look when it comes to foundation and it felt as though I put next to nothing on my face yet the coverage is so flawless. I am chuffed to bits with this and can't wait to get practising a bit more with it! 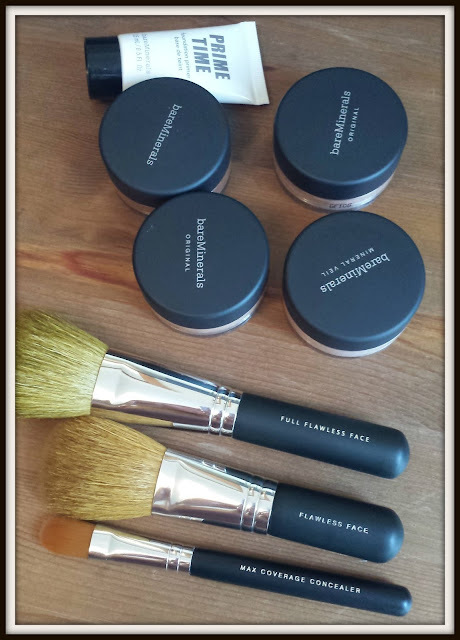 Have you tried bareMinerals? What did you think?